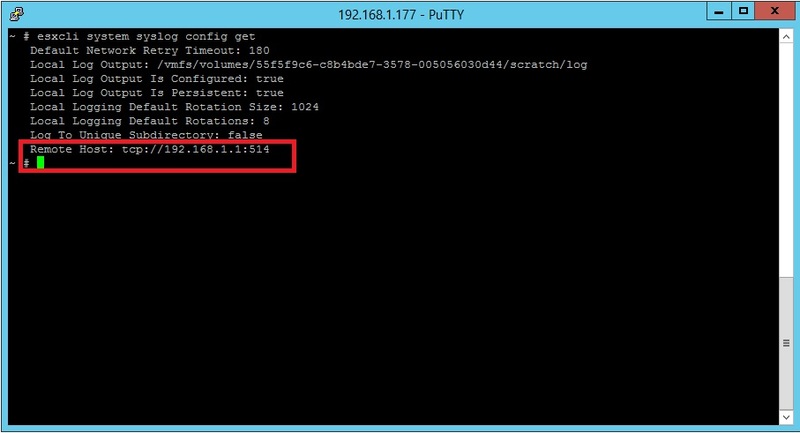 When you have installed and set-up an ESXi host, you would have configured a scratch location for all the host logging to go to. The configuration might have been done on the local datastore or a SAN. You can also preserve your host logging on to a remote machine as well, configure host log rotation to retain logs for a longer time by using syslog. 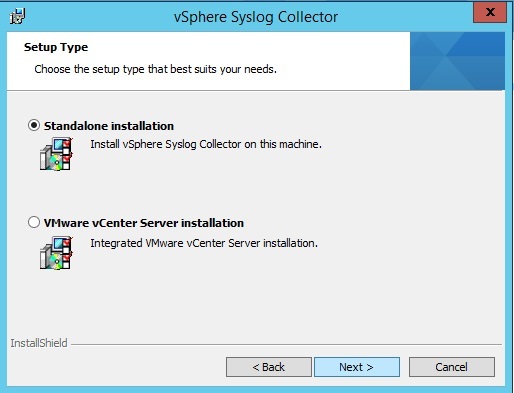 Here, I am going to configure my host logging in such a way that all the ESXi logging must go to a remote machine, in my case, a vCenter Windows machine. 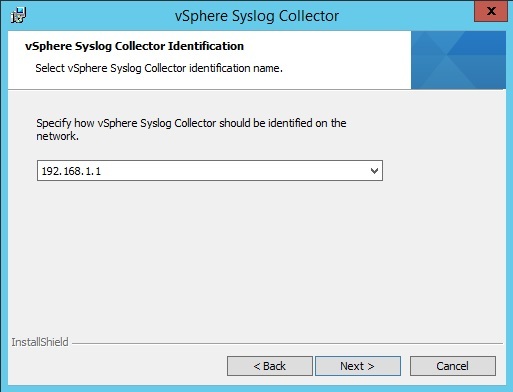 From the ISO that you installed your vCenter Server, you will have an option for Syslog Collector. And how many log rotations to be retained. So basically, once the syslog text file reaches the rotate constraint, which by default is 2 MB, it will be zipped and the new logging will be done in a new text file. And 8 rotated zipped files will be retained at one time. 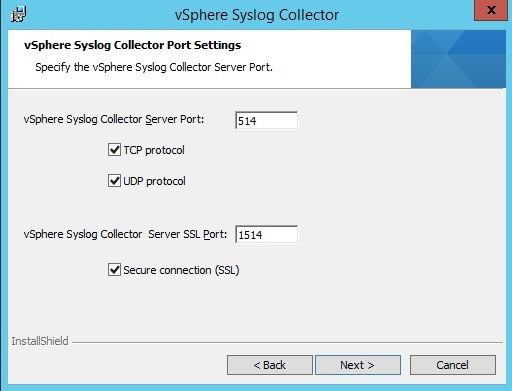 The default TCP and UDP port being used for syslog is 514, give a custom port if required. 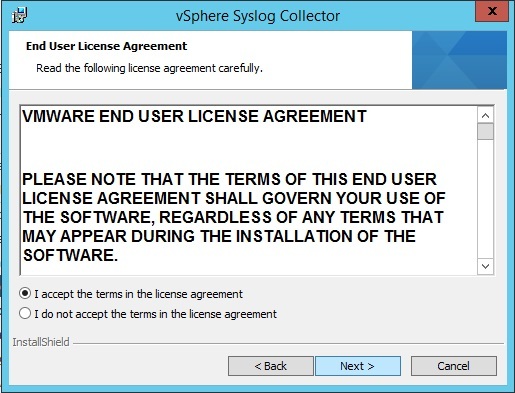 If you are using a custom port, then document it, as it would be necessary for configuration. 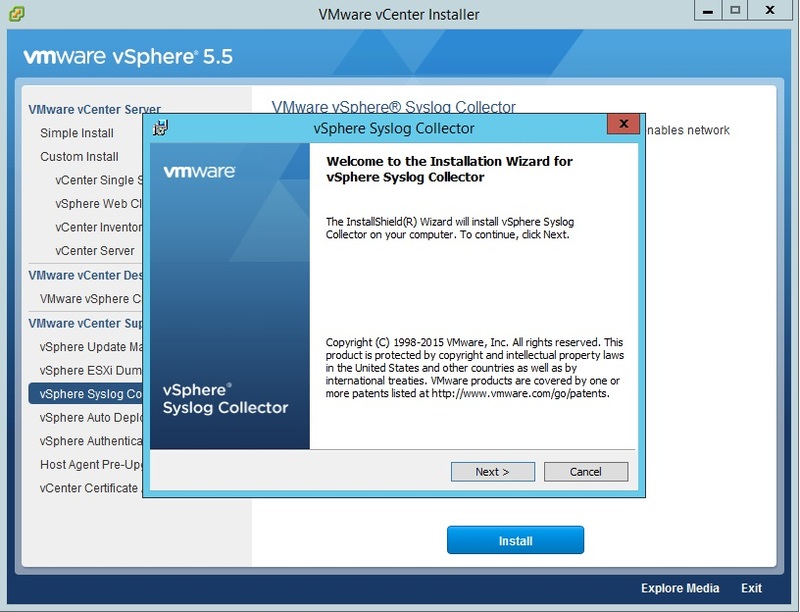 Click Next > Install and Finish once the installation is complete. 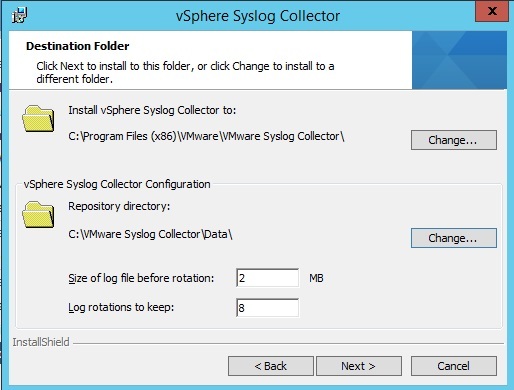 Once the syslog collector is installed, it is then time to configure syslog for the required ESXi host. Notice that I do not have Remote Host syslog configuration done yet. If you are using a custom port, then specify that custom port in the above command. Now, you may need to manually open the Firewall rule set for syslog when redirecting logs. For this, we need to set a syslog rule-set in the defined firewall rules and reload the changes. Now, let's check the directory to see if syslog is available for the host. 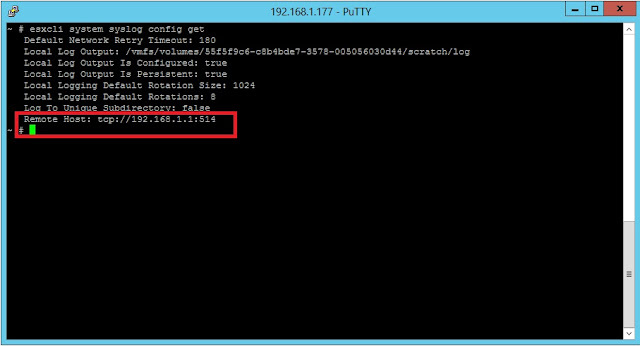 The log file is created and when you review the syslog configuration for the host, you can now see the remote server IP. Thank you. It is now updated.